Lori Czerwionka joins Purdue as an Assistant Professor of Spanish and Linguistics in the School of Languages and Cultures. She received her Ph.D. in Hispanic Linguistics from the University of Texas at Austin. She completed her M.A. in Linguistics and B.A. degrees in Spanish and Finance at the University of Illinois, Urbana-Champaign. Before coming to Purdue, Dr. Czerwionka was an Assistant Professor at Northern Illinois University. Dr. Czerwionka’s research interests lie broadly in pragmatics, sociolinguistics, and second language acquisition. Current research projects address discourse organization and the use of discourse markers related to two main areas of research: the study of linguistic mitigation and second language learners’ development of discourse. 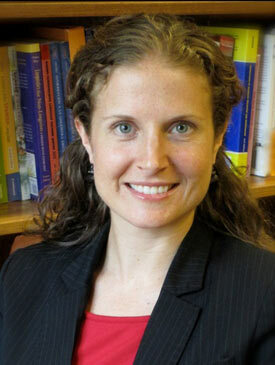 Dr. Czerwionka enjoys teaching courses about Spanish, linguistics, and second language teaching methods.